Janelle is a Sandals and Beaches expert. She has visited every resort multiple times and knows the perfect destination for your romantic vacation. Her favorite island is St. Lucia. Relaxing poolside with a good book and a frozen drink is one of her favorite activities. Janelle also has a background in education as a special education teacher. She works closely with the Sandals Foundation in an effort to support education efforts in the Caribbean. She manages Everlasting Memories Pack for a Purpose campaign helping to bring needy schools supplies and donations. 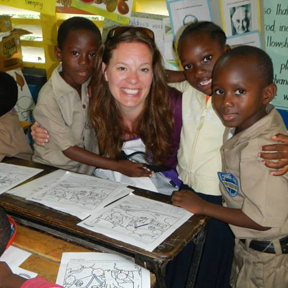 Several times a year, Janelle volunteers in Caribbean schools to work with local students. She was awarded Everlasting Memories Vacations Humanitarian Award for 2013. Dennis has traveled extensively throughout the world. With stays in China, Japan, France, Turkey, Germany, and more Dennis is very knowledgeable in European and Asian travel. The Caribbean is Dennis’s favorite destination. He is also a Sandals and Beaches Specialist. His favorite island is Jamaica. Let his experience guide you as you plan a perfect vacation. Everlasting Memories Vacations is a family business. 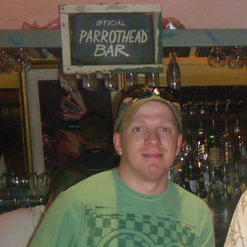 Dennis is Larry’s twin brother and co-founder of Everlasting Memories. Along with Larry, Dennis is featured on Sandals agent training video. Agents around the world learn from the best – Everlasting Memories Vacations. 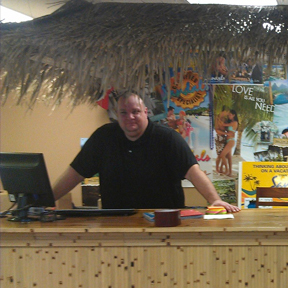 Mike is the office manager at Everlasting Memories Vacations. He was awarded EM Vacations Employee of the year for 2013 due to his strong customer service and sales. He specializes in weddings and honeymoons and has taken over the title “Director or Romance”. His favorite island is Jamaica. In fact, last year he spent the entire month of November working from the island. He is a Sandals, Beaches, and Grand Pineapple Specialist. 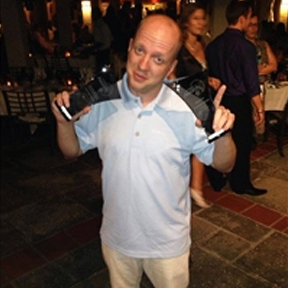 While out of the office, Mike enjoys golfing and photography.